1947-1987 Bed Mount Pad - GM Truck Single Bed Mount Pad. 1947-1987 Bed Mount Pads (8 Pcs.) 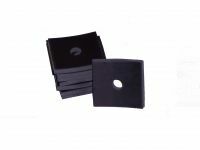 - GM Truck Rubber bed mount pads. Look just like the original.